Salesforce continues to add to the ever expanding places in which developers can extend Lightning Experience using standard or custom Lightning Components. In a recent blog i covered Lighting Component Actions. This blog focuses on the Utility Bar. While also showcasing the Base Lightning Components also new for Winter’17. If enabled, this displays a rectangular region shown in the footer region of Lightning Experience (it does not apply to Salesforce1 mobile currently). Regardless of where the user navigates, it remains present and its contents always visible. Its display and content is dependent on the currently selected application (just like tabs are in classic). If your from a Windows background it will likely remind you of the status bar! Salesforce have utilised this for their new Lightning Voice functionality. Providing you have the required license for it, you can enable it under the new Application Manager. There just one hitch. For now there is no general Setup UI to configure your own utility bar or for that matter, add components to it, at least not until Spring’17 anyway. However worry not! 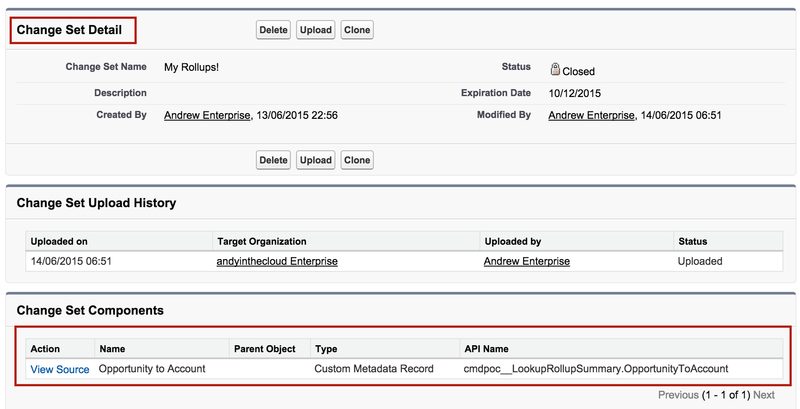 There is Metadata API support available now (in pre-release orgs only as i write this blog). This is all we need to unlock the power of the utility bar! Which means it can also be packaged (as part of your CustomApplication metadata) and accessed via the Migration Toolkit. Eventually also within IDE’s once they catchup with API v38. I am told however that Tooling API support is planned for Spring’17. If you cannot wait to go try out the utility bar at this point, click the Deploy to Salesforce button below and it will deploy a sample application (make sure to use a Winter’17 org). Once deployed go to the App Manager under Setup and assign the Utility Bar Demo application to your profile. This is pretty much what a standard FlexiPage looks like with a couple of differences. First the type is set to UtilityBar. Second component attribute values now support a new decorator type. This means that the attribute value is used to configure a dynamically created UI around (wrapped) your component when the user opens it from the utility bar. Rather than being passed to the component itself. If this field value is decorator, then the ComponentInstanceProperty values apply to the component decorator for the Lightning component. The component decorator is a wrapper around a Lightning component. The decorator can apply additional capabilities to the component when it renders on a specific page in Lightning Experience. For example, you can configure a component decorator around a component on the Lightning Experience utility bar to set the component’s height or width when opened. The UtilityBar is the only page type that supports component decorators. 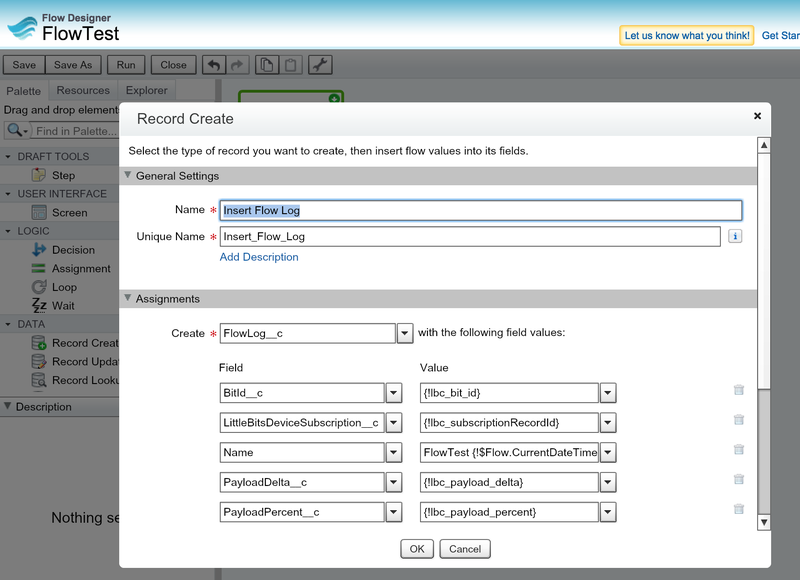 Once you have defined your FlexiPage you need to reference it from your CustomApplication metadata. This is as simple as specifying it via the new <utilityBar> element (see docs). There are also quite a number of new elements for branding etc. The above example uses some simple custom Lightning Components included in the accompanying repo for this blog. The only requirement for a component to appear on the utility bar is it has to implement the flexipage:availableForAllPageTypes interface. The follow shows the new Winter’17 lightning:tabset base component. The components included in this demo showcase the Base Lightning Components examples from the current documentation. I have no doubt the community will be digging into these very soon. So far they look very solid and quite feature rich. I am eager to see how this feature rolls out further, as there is so much potential for this feature in reducing navigation overheads and thus improving user productivity. I’ll certainly be exploring a bit further with this sample to see what events and interactions are possible, which i’ll surely follow up on in a future blog. When i first heard about this feature in Winter’17 preview webinar i was very excited to try it out and not having a UI was of course not going to hold me back! Thanks to Eric Jacobson for helping with early pointers that helped me pull this together. I think its a great move for Salesforce to deal with the juggling priorities vs development resources by deploying new features via API only if needed and as i have said before a true testament to their commitment to their API first strategy. As per the usual Salesforce Release Notes documentation warning. Until Winter’17 goes out to production, information in this blog and associated information should be considered subject to change. I will continue to monitor for updates in the documentation and update accordingly. Categories: Lightning, Metadata API, UtilityBar | Permalink. Salesforce describes the current options for launching Flow here, one of which is indeed via its REST API, which if called from Apex would provide the facility we are looking for here, however i wanted to avoid HTTP callout and the limitations that entails. 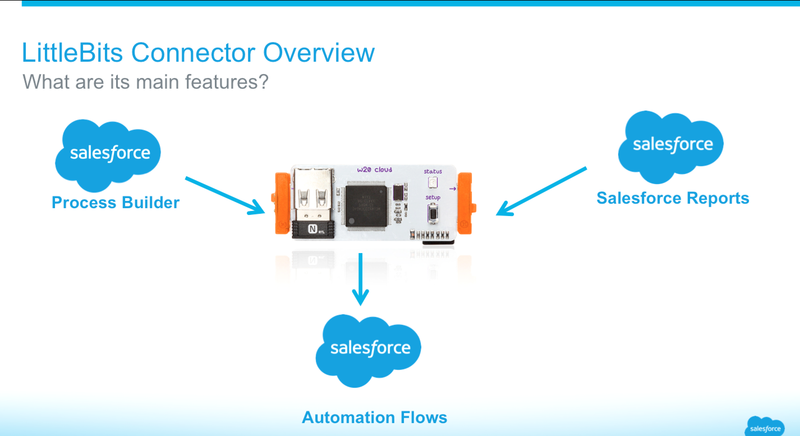 With the Salesforce LittleBits Connector i solved the problem using an Apex interface, the utilisation of the factory pattern and a Tab that provides a facility to manage the code generation of a Flow factory class. The following code snippet from the tool shows how the Flow factory approach works. It uses Apex type.forName to create an instance of the above generated class (from the unmanaged namespace of the org). The key with this solution is the Tab above that provides a means for the Admin user to dynamically create or refresh the lbc_LittleBitsFlowFactory Apex code which has access to the specific Flows. This class lives as an unmanaged class in the org. Before we look at how the Tab works, lets take a closer look at what it generates in the org. Note: I found that i needed the class to be marked as global at the time, i suspected this might have been that the packaged code was not Aloha status. If your not packaging your solutions code, this your code runs in the unmanaged namespace, you’ll find that you don’t need global and public will be fine. The Tab also generates an Apex Test for the above code as well, to ensure code coverage is satisfied. 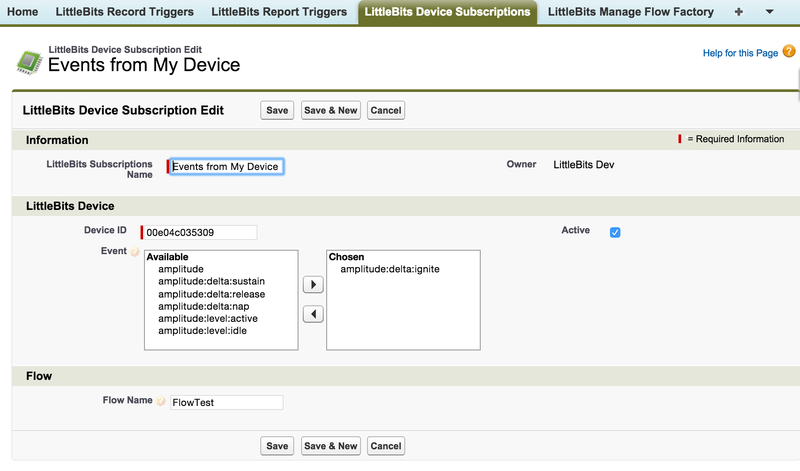 The Tab itself scans the configurations of the tool for references to Flow names, in this case it was LittleBits Device Subscriptions, it could also utilise the Apex Metadata API listMetadata as well. The former approach does keep the generated code focused on the Flows needed by the tool. The page then uses the Apex Metadata API to deploy the generated code to the org. If you want to review this code in more detail take a look at ManageFlowFactoryController and the manageflowfactory page. I find Flow to be a hugely liberating technology for creating solutions without requiring coding skills on Salesforce. 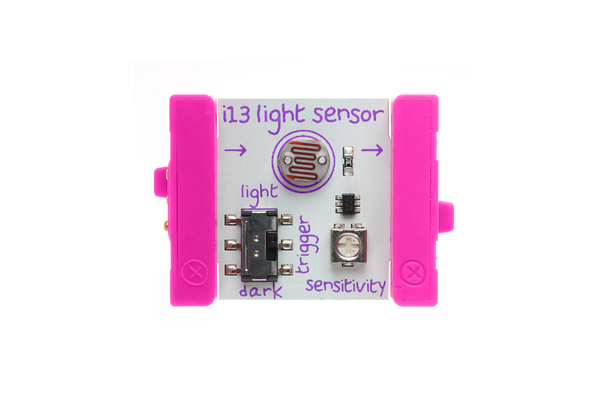 I hope to wrap the above solution in a standalone open source solution that contains a dynamic Flow API and the Tab above, such that others can start to integrate Flow into other tools as I did with the LittleBits connector. Meanwhile please enjoy reviewing the approach in its current form and let me know your thoughts! Note: Key to this solution is the use of the Apex Metadata API to deploy the factory code. I have learnt recently that Salesforce are increasing security around Apex execution invoked from Lightning Components (via @AuraEnabled annotated methods). The implication of this is that UserInfo.getSessionId does not return an API capable Session Id. This effectively blocks such code from calling any Salesforce API’s (including Metadata API) via Http callouts using the users Session Id. I’ll be looking at means in the future to use oAuth to formalise access like this. Update: See blog Flow Factory. 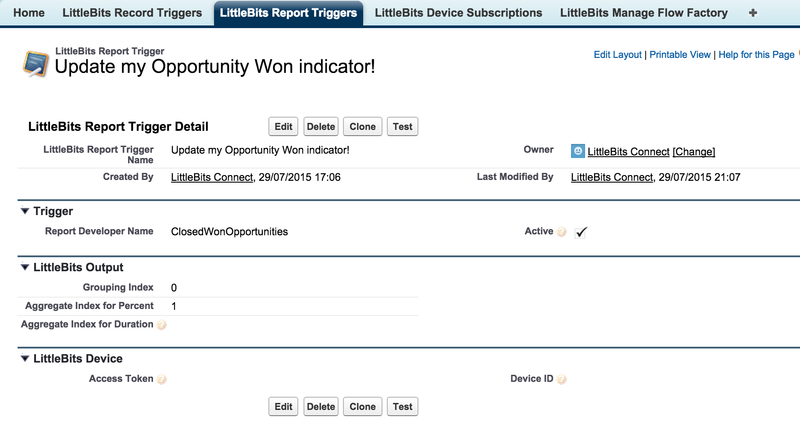 Categories: Apex, Flow, LittleBits, Metadata API, Salesforce API, Tools | Permalink. Having just completed some improvements to the Apex Metadata API to support creating, reading, updating and deleting Flows. I wanted to give it a bit more of test drive than the usual Apex examples i write. So i started wondering if there was something i could do as a developer armed with this API to help with the process of configuring and managing Flows? 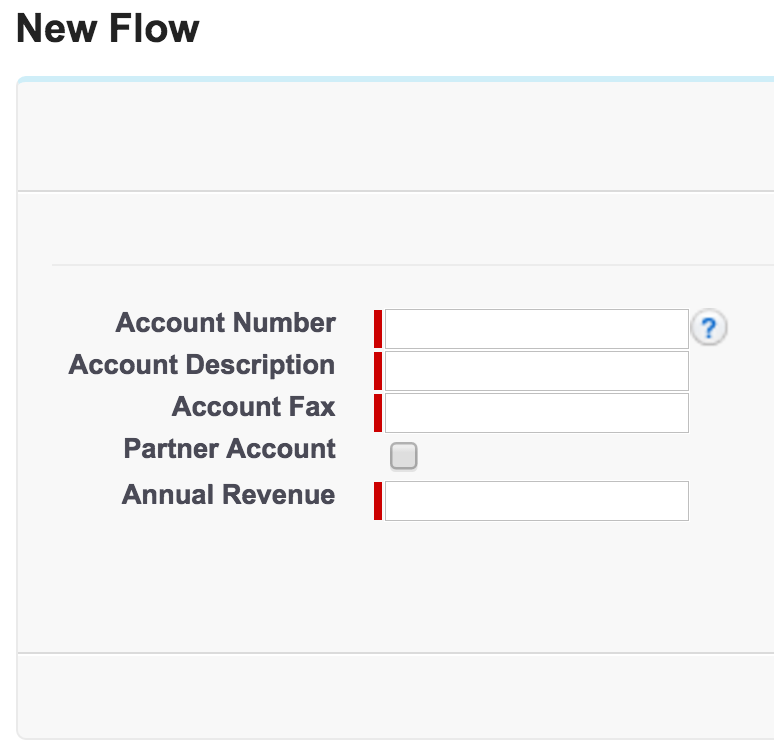 The following is basic example of updating a Flow to add a Screen Step…. Doing this manually is a simple matter of dragging a Screen Flow element onto the canvas and configuring it with the type of UI fields you want to see. 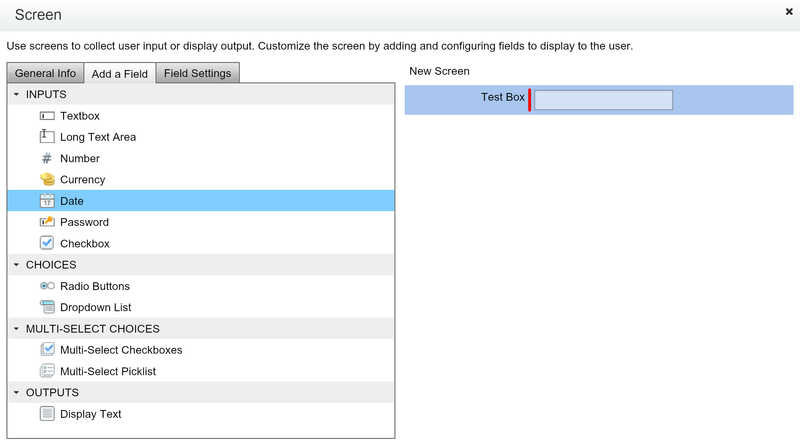 In scenarios where your step is surfacing fields from objects you can mirror those fields by setting up the Screen element with labels and field types based on the underlying field metadata. However wouldn’t it be much easier if we could simply state which object fields we want and automatically use their metadata to drive the creation of the fields in the UI. Reusing the labels and selecting the applicable field type. The following code uses the Apex Metadata API with Apex Describe to show how something like this can be done. 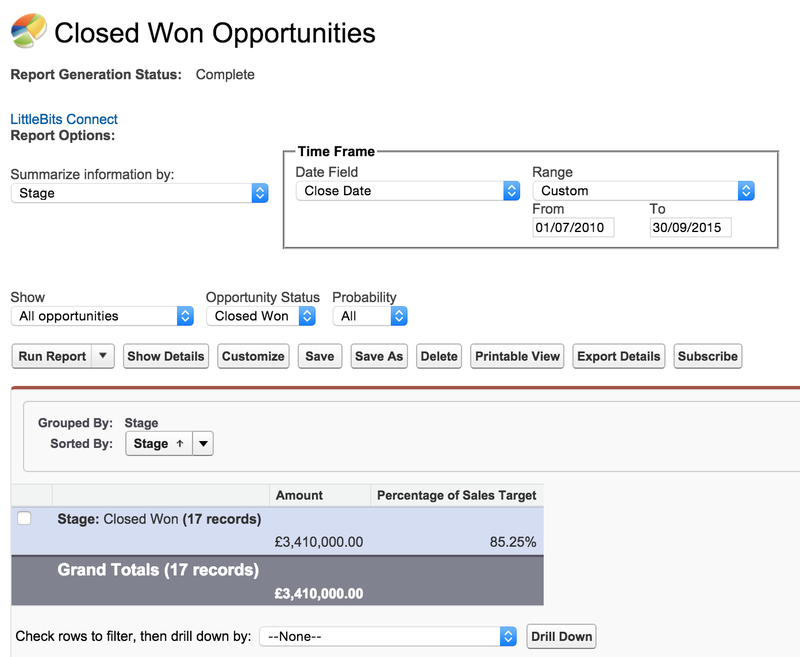 This results in the following Screen element being created in the Flow…. You can see the full code for this example here. Categories: Apex, Flow, Metadata API, Salesforce API | Permalink. This is the final part of my two part blog series on Summer 15’s new Custom Metadata feature. The first blog focused on defining the Custom Metadata Type (MDT for short) and reading and writing record data with the resulting SObject, via a combination of SOQL and Apex Metadata API. In this blog I will walk through the reminder of my proof of concept experience in trying out the new Custom Metadata feature of Summer’15. Specifically focusing on building a custom UI (no native UI support yet), AppExchange packaging and finally trying it out with Change Sets! As described in the previous blog native DML in Apex against MDT SObject’s is not supported as yet. So effectively making a HTTP SOAP API (Metadata API) call to update MDT records made the execution flow in the controller a little different than normal, my solution to that may not be the only one but was simple and elegant enough for my use case case. As this was a POC i really just wanted to focus on the mechanics not the aesthetics, or user experience, however in the end i’m quite pleased with all. Creating Records. The user first goes to the page and they see Create new…. in the drop down and the Developer Name field is enabled, hitting Save creates the record, refreshes the page and switches to edit mode. At this stage the Developer Name field is disabled and the drop down shows the recently created record selected by default. Editing Records. In this mode the Developer Name (Object Name) field is disabled and Delete is enabled, users can either hit Save, Delete or pick another record from the drop down to Edit. Deleting Records. By picking an existing record from the drop down, the Delete button is enabled. Once the user clicks it the record is deleted and the page refreshes (its a POC so no second chances with confirmation prompts! ), then defaults back to selecting Create new… in the drop down. So thats a simple walkthrough of the UI done, lets look at how it was built. In keeping with my desire to leverage the fact that MDT’s result in actual SObject’s i set about using some of the standard Visualforce components, to get the labels and some field validation via components like apex:inputField initially. Currently the platform extends the fact that the SObject record itself cannot be natively inserted, to the fields themselves, and thus they are marked in the schema as read only. Which of course apex:inputField honours and consequently displays nothing. This is a shame, as i really wanted some UI validation for free. So as you can see from the sample code below i switched to using apex:inputText, apex:inputCheckbox etc. which do in fact still help me reuse the Custom Field labels, since they are placed within an apex:pageBlockSection. Note: Here the DeveloperName is used, since when redirecting after record creation I don’t yet have the ID (more a reflection of the CustomMetadataService being incomplete at this stage) so this is a good alternative. Also note the SOQL code above is not recommended for production use, you should always use SOQL arrays and handle the scenario where the record does not exist elegantly. In the controller constructor the MDT SObject type is constructed, as the default behaviour is to create a new record. After that the init method fires (due to the action binding on the apex:page tag), this method determines if the URL carries a reference to a specific MDT record or not, and loads it via SOQL if so. You can also see in the getLookups method SOQL being used to query the existing records and thus populate the dropdown. As the user selects items from the dropdown, the page is refreshed via the load method with a custom URL carrying the selected record and the init method basically loads it into the LookupRollupSummary property and results in its display on the page. Finally we see the heart of the controller the save and deleteX methods. These methods leverage those i created on the CustomMetadataService class i introduced in my previous blog to do the bulk of the work, so in keeping with Separation of Concerns keep the controller doing what its supposed to be doing. Whats important here is that when your effectively making a HTTP outbound call to insert, update or delete the records, the the context your code is currently running in will not see the record until it has ended. Meaning you cannot simply issue a new SOQL query to refresh the drop down list controller state and have it refreshed on the page. My solution to this, and admittedly its a heavy handed one, is to return my page reference with the developerName URL parameter set and setRedirect(true) which will cause a client side redirect and thus the page initialisation to fire again in a new request which can see the insert or updated record information. Not to be deterred from using compiler checked SObject Custom Field references i have updated the CustomMetadataService to take a map of SObjectField tokens and values, which looks like this. Its not ideal, but does allow you to get as much re-use out of the MDT SObject type as possible until Salesforce execute more of their roadmap and open up native read/write access to this object. Packaging Custom Metadata Types and Records! This is a thankfully UI driven process, much as you would any other component. Simply go to your Package Definition and add your Custom Metadata Type, if it has not already been brought in already through your SObject type references in your Visualforce or Apex code. Once added is shown as a Custom Object in the package detail page. You can also if you desire package any MDT records you have created as well, which is actually very cool! No longer do you have to write a post install Apex Script to populate your own default configurations (for example), you can just package them as you would any other peace of Metadata. For example here is a screenshot showing the packaging of a default rollup i created in the packaging org and it showing up on the Add to Package screen. Once installed this will be available to your packaged Apex code to query. This then shows up as a Custom Metadata Record in your Packaged Components summary! Finally note that you can have protected Custom Metadata types (much like Custom Settings), where only your packaged Apex code can read Custom Metadata records you have packaged and subscribers of your package cannot add new records, here you would want to use the aforementioned ability to package your MDT records. The Metadata API cannot access protected MDT’s that have been installed via a managed package. In a world before Custom Metadata, platform on platform tools such as Declarative Lookup Rollup Summary, approached the above use case by either expecting the user to manually re-enter configuration, or doing a CSV export of configuration data, downloading to a desktop and re-upload in the Production org. This dance is simply a thing of the past in the world of Custom Metadata! Here is what i did to try this out for the first time! Deployed my Change Set in the Enterprise org and job done! Conclusion and Next Steps for Declarative Rollup Summary Tool? I started this as means to get a better practical understanding of this great new platform feature for Summer’15 and i definitely feel i’ve got that. While its a little bitter sweet at present, due to its slightly raw barry to entry getting into it, it’s actually a pretty straight forward native experience once you get past the definition stage. 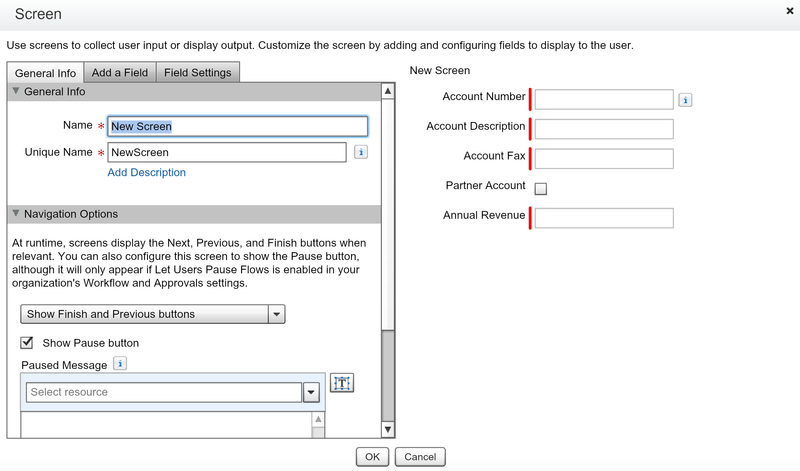 Once Salesforce enable native UI for this area i’m sure it will take off even more! My only other wish is native Apex support for writing to them, but i totally understand the larger elephant in the corner on this one, being native Metadata API support (up vote idea here). 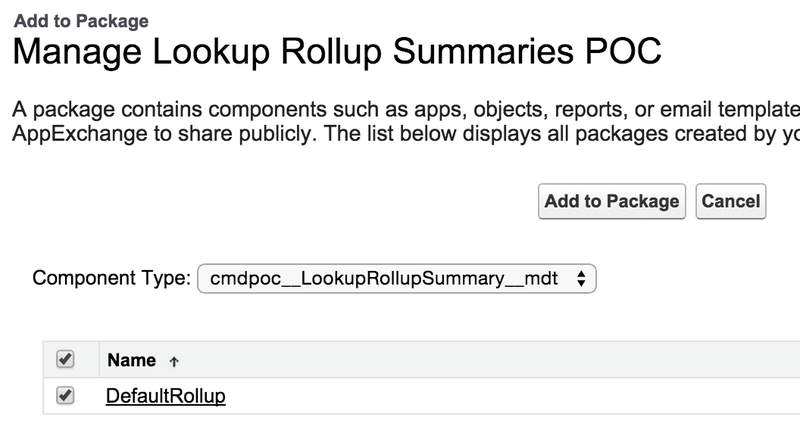 So do i feel i can migrate my Declarative Lookup Rollup Summary (DLRS) tool to Custom Metadata now? The answer is probably yes, but would i ditch the current Custom Object approach in doing so? Well no. I think its prudent to offer both ways of defining for now and perhaps offer the Custom Metadata approach as a pilot feature to users of this tool, leveraging an updated version of the pilot UI that already exists as a Custom UI. For sure i can see how by leveraging the tools use of Apex Enterprise Patterns and separation of concerns, i can start to weave dual mode support in without to much disruption. Its certainly not a single weekend job, but one that sounds fun, i’ll perhaps map out the tasks in a GitHub enhancement and see if my fellow contributors would like to join in! Other Great Custom Metadata Resources! In addition to my first blog in this series, here are some resources i found while doing my research, please let me know if there are others, and i’ll be happy to add them to the list! Categories: Apex, Custom Metadata, Metadata API, Tools | Permalink.